Put the chickpeas, garlic, and kosher salt in the bowl of a food processor. Process for 15 to 20 seconds. Stop processing, scrape down the sides of the bowl and process for another 15-20 seconds. Now, add the lemon juice and water. Process again for 20 more seconds. Next, add the tahini. Process for 20 seconds, scrape down the sides of the bowl once more. While processing for another 20 seconds, lightly pour on the olive oil. 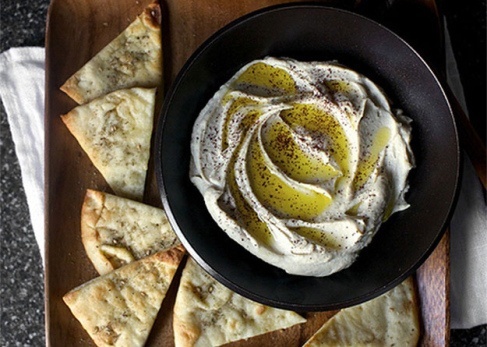 Transfer to the bowl you would like to serve it in, sprinkle some sumac on the top and your Hummus is ready to eat. Put the water, chickpeas, and baking soda in a 2 ½-quart slow cooker. Cover and cook on high heat for 4 hours. Drain and use immediately for the Hummus.